Maine's loggers, truckers and sawyers and others scramble to stay afloat while attempts to support them falter. CHESTER — Making lumber is a bit like peeling a banana. The peels, in this case 16-foot lengths of bark-clad hemlock, are stacked beside a small sawmill here at Treeline Inc., a diversified forestry operation on the access road to Lincoln. 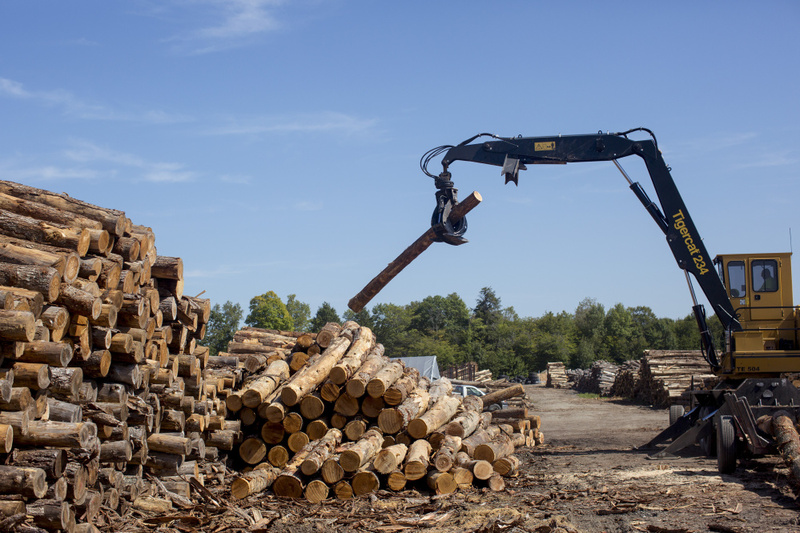 The subsidy reflected a deep concern about what has happened to Maine’s forest products industry, a dominant force in the state’s economy for nearly a century. Over the past decade, paper mill closures and shifting markets have diminished the industry to a point where the rural Maine forestry businesses most dependent on pulp and paper – the loggers, truckers, sawmill operators – have been forced to envision a new future. Now the company is hauling chips 100 miles north to another plant that turns wood fuel into electricity, the ReEnergy biomass power station in Ashland. Trucking costs have soared from $150 to $400 a load. 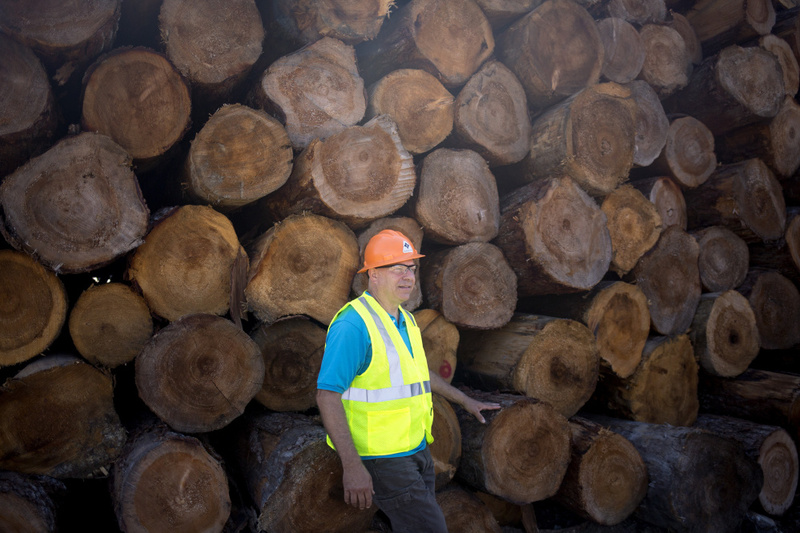 Robert Bailey, wood-yard manager at Treeline Inc. in Lincoln, breaks down logs last week. A number of setbacks this year in the forest products industry has led companies like Treeline to diversify and try to position themselves for any new emerging opportunity. 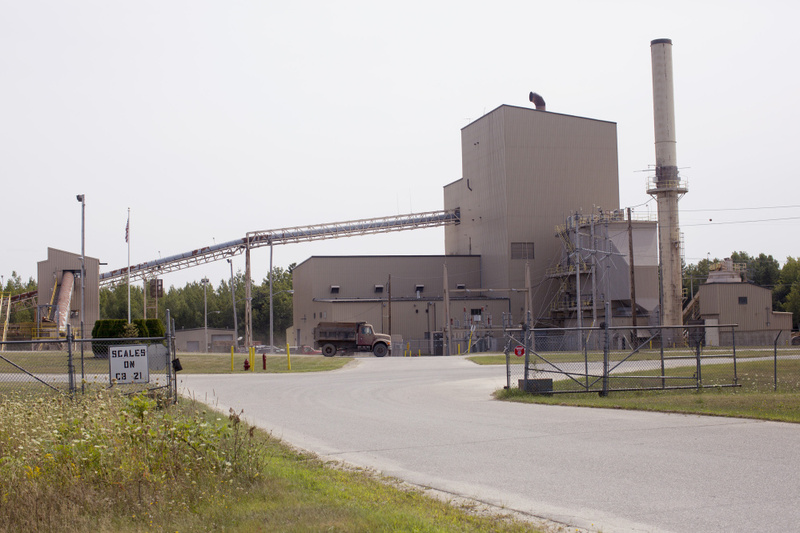 As did others in the forest products industry, Souers had cautious hopes for Stored Solar, the power plant’s owner, and its expansive plans to transform the Penobscot River valley and its closed paper mills into a bioenergy hub. That could still happen, someday. But as blushes of crimson in the area’s maple swamps signal the seasonal slide toward winter, Souers can look at 2017 as a year in which wood energy’s promises of offsetting the jarring decline of pulp and paper were dashed or, at least, delayed. Or when it will be. Events in 2017 suggest the forest industry’s transition from dependence on papermaking to something else will take many years, if not decades. The industry took another hit last week when a fire broke out at the Northeast Pellets mill in Ashland, destroying a production building as well as 500 tons of wood pellets stockpiled for the heating season. The fire won’t have much impact on the state’s overall supply, which is facing a glut because of low oil prices. But it’s bound to hurt wood suppliers and workers, until the company can rebuild. Doran’s group released an economic impact study last year that counted nearly 4,700 harvesting jobs. But the data came from 2014, just as a series of mill closures began. All of the group’s members have lost workers since then, Doran said, and total employment is down 9 percent over last year. The new reality has forestry companies such as Treeline searching for ways to diversify their operations. Some of those strategies were visible last week in the company’s wood yard. Out back, a contractor was working up 16-foot lengths of beech and maple into 16-inch pieces of cordwood. He methodically engaged a saw arm on the firewood processor, which then split and spit the pieces onto a conveyor and into a trailer. Treeline just started pushing out firewood over a year ago. The company made more money trucking hardwood pulp to mills in neighboring Lincoln and nearby Old Town. But when the mills shut down, so did the pulp market. Souers took over the sawmill a year ago, when another company went under. He is trying to grow a business sawing custom timbers for a variety of uses, such as logging bridges. On this day, the sawmill operator was making two-by-six hemlock boards. Maine’s modern papermaking era spans more than a century. But in the past three years, five of the state’s 11 remaining paper mills have shut. Others have cut employment and production, in all removing thousands of jobs and an estimated $1.3 billion from the state’s economy. The survivors are working to find new customers and develop new products and technologies. In the meantime, Maine has lost markets for about 4.3 million tons of wood, according to Innovative Natural Resource Solutions LLC of Portland, which tracks the industry. Roughly 1 million tons of the total was low-grade wood – small trees, limbs and branches – used to produce steam and electricity. Primarily softwood, that low-grade wood plays a critical role in Maine’s forest practices. It allows loggers to thin a stand to favor saw logs and pulp, which are worth more money. 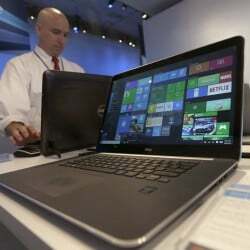 It provides extra revenue that can make a job financially worthwhile. “If you can’t sell that low-grade wood because no one wants it, can you afford to harvest the rest of it?” Souers asked. Two years ago, Treeline had a dozen workers chipping, loading and driving 75 truckloads of wood each week to West Enfield. But in April 2016, the plant closed. Souers responded by trimming his workforce from 70 to 55. Last winter, some of those jobs came back, when Stored Solar took over. But since then, the company has been late paying suppliers, has bought less wood than planned and generated less power than expected at its plants in West Enfield and Jonesboro, according to news reports and Public Utilities Commission documents. On a visit to West Enfield last week, trucks were delivering chips that were being stockpiled in a small mountain next to the plant. A typical truck can carry 30 tons. But no plume was visible from the stack, indicating the generator was off line. Dan Cashman, a former spokesman for the company, said he no longer represented Stored Solar. An attempt to reach Bill Harrington, the company’s vice president, for an update wasn’t successful. Last winter, Stored Solar took over operations at the biomass power plant in West Enfield, which had been a destination for much of Treeline’s waste wood. But generation at the site never returned to normal, and by February, Treeline stopped making regular deliveries. Stored Solar’s restart of the West Enfield and Jonesboro plants was among a handful of actions this year that held promise for forestry operators. Developers working with the University of Maine want to turn the former Old Town Fuel and Fiber mill into a $60 million production facility to make a raw material that can help turn wood fiber into jet fuel. They already have a pilot plant, but need financing. Ensyn Technologies, a Canadian company that turns leftover wood from forestry operations into heating fuel, is supplying Bates College in Lewiston and is seeking enough customers to build a production facility in Maine. Other entrepreneurs are trying to export wood chips to Europe, which burns them in power plants as a substitute for coal and oil. Southeastern states have been doing this for years, but Maine efforts have moved more slowly than anticipated. In Augusta last year, the Legislature passed a controversial $13.4 million bailout bill that provides up to two years of subsidies to keep biomass power plants running. Lawmakers also set up a biomass study commission, expressing urgency to find strategies to keep wood-fired power plants like the one in West Enfield going. Recommendations were made to create new incentives for energy producers. But faced with opposition last spring from Gov. Paul LePage and running out of time, lawmakers put off any action until next year. 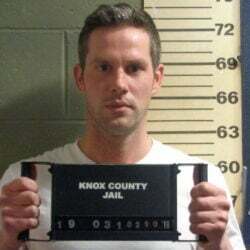 These setbacks show that the industry is going to need patience, according to Eric Kinglsey, Innovative’s vice president. Wood chip exports are an example. European Union clean-energy rules have created a multimillion-dollar supply chain from Southeast woodlands and ports. Maine, which is closer to Europe than Georgia and the Carolinas, has failed to gain a piece of that market. It’s not for lack of planning. In Eastport, the port authority has been working since 2009 to identify partners and refine a modular shipboard system that heats the wood to kill bugs, as required by the EU. Testing the system and conducting a trail shipment was expected to happen earlier this year, but has been delayed. “What we’re doing in Eastport is the first of its kind,” said Chris Gardner, the port authority’s executive director. “We realize the world is looking at us and we have a responsibility. We know there’s pressure to produce.” Some environmental groups are critical of cutting American forests to power Europe. But this is wood that previously went to Maine mills, Gardner said, and isn’t needed by existing operations. Gardner said he sees the potential to ship 200,000 tons a year initially. It would be harvested largely in eastern Maine, from areas where Souers and his Treeline contractors cut. But that market, if and when it evolves, won’t cover today’s bills or paychecks. So Souers keeps thinking of ways to maximize the value of what he pulls out of the woods. In another part of the wood yard, Souers showed off a horse barn his workers assembled with sawn hemlock. The barn is built in three pieces. It’s set to be trucked to a customer in Belfast. Nearby, a smaller building could become a hunting camp. Treeline is a family business that has been around for 36 years. Souers’ daughter is vice president. The company also offers forest management services, sells recreational land and has become a major distributor of culverts. These and other side enterprises are meant to assure the company’s survival, in an industry buffeted by change.